Backflips, doubles, triples, straightlines, big cliffs, backflips off cliffs, pillows, road gaps, spines, backcountry jumps, and ski competition. All from pro freerider Sam Schwartz’s 2014-2015 ski season. Sam Schwartz (19) is from the US and a qualifier in the Freeride World Tour, check out his biography and why not all the other pro freeriders. on the Freeride World Qualifier site. Backflips, doubles, triples, straightlines, big cliffs, backflips off cliffs, pillows, road gaps, spines, backcountry jumps, and ski competition. All from pro freeri der Sam Schwartz’s 2014-2015 ski season. Sickest heli toe in ever! In Haines, AK. Check out these sick heli toe in shots in Haines, Alaska. Want to ski Alaska, we work with the best heli operator there, SEABA. Want to book or learn more go to SEABA. 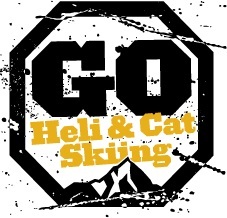 As the Heli & Cat skiing season is winding down we at GO Heli & Cat Skiing turned to our second passion and went up to the Lyngen/Tromsö Alps way up north of the Arctic circle for some ski touring, Here is also where our friends at the premier ski magazine in Norway “Fri Flyt” awarded the tight Øksehogget couloir the raddest couloir in Norway. The Lyngen Alps (Lyngsalpene) is a unique and unspoiled alpine mountain range on a peninsula near Tromsø, and a popular destination for ski touring and hiking. Book early discount with Northern Escape. Don’t miss out on discount by booking your next heli skiing trip with Northern Escape heli-skiing early!. Less than a month left to take full advantage of our Early Booking Savings Discount with Northern Escape Heli-skiing – deadline to book by April 30! So, for the best prices on next winter’s heli ski packages, don’t wait, book now! Location: Northern Escape Heli-Skiing lodge is located 25 minutes by car outside Terrace, British Columbia, a 2 hour regional flight from Vancouver. Ski Area: Over 7000 square km. A huge a vast terrain! Average Snowfall: 30-40 meters. Snow base is often 10 meters.